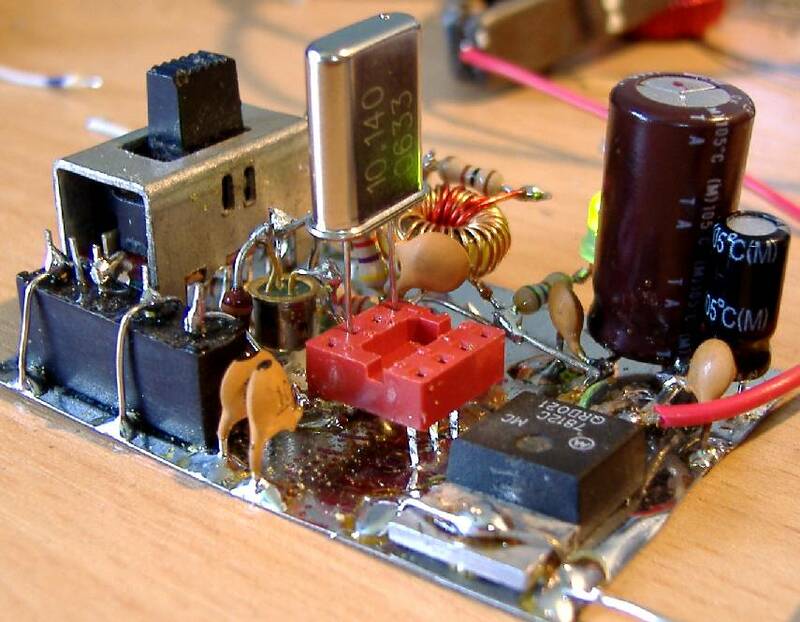 Who'd have thought that baked bean cans could be so useful for electronics projects? 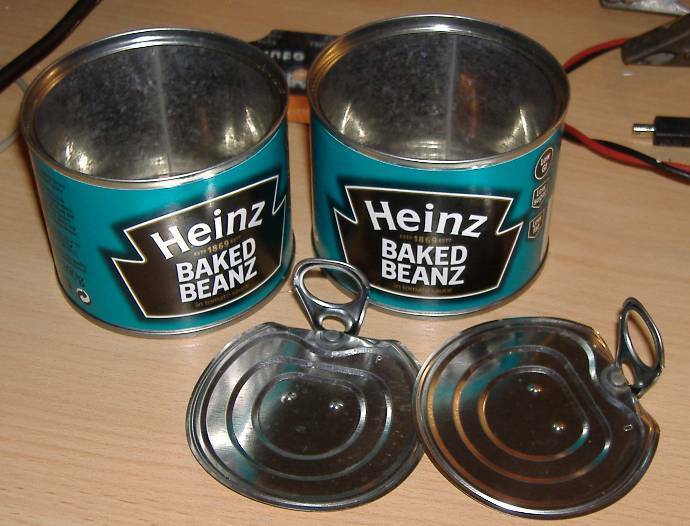 The idea of using baked bean cans came from David VK6DI who first introduced me in July 2006 to the use of can lids as circuit boards. An ordinary tin lid is great for building "ugly-style" or "groundplane" circuits. The material is tin-plated steel. It is easy to cut with a pair of tinsnips if necessary, and very easy to solder to. My favourite food! Heinz baked beans. The tin lids can be used directly as a cheap and instant circuit board groundplane. But, even better, is to use the walls of the baked bean can. You can cut out the walls using tin snips. The walls of the can are thinner than the lid and so even easier to solder to (less heat capacity) but still rigid enough. The half size (200g) bean cans are more useful than full size ones, since the walls of the larger size are corrugated for additional strength. 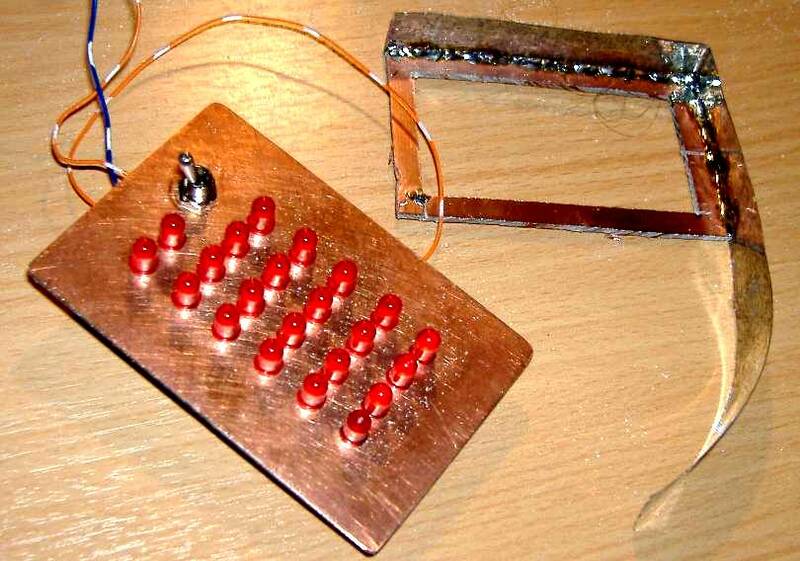 Baked bean can tin was used to construct the walls of this BCD LED readout frequency meter. Baked bean can tin walls are even EASIER to solder to than PCB. Just try it! Here's an example of using baked bean can tin wall as a circuit board substrate. 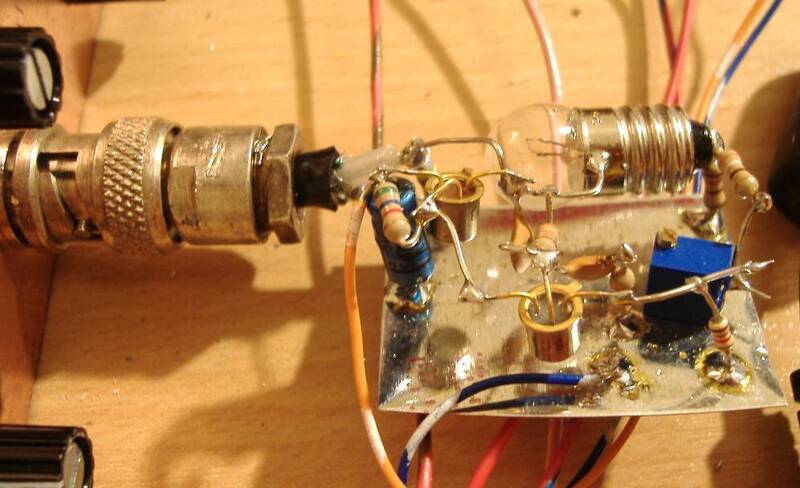 This is a Butler crystal oscillator used for measurement of quartz crystal parameters. This image shows a slice of baked bean can wall used as a circuit board substrate for "ugly-style" groundplane circuit construction. In this case it's a wien bridge audio frequency sinewave oscillator which I was using as a test signal frequency source for my TinyScope miniature all-valve oscilloscope project. 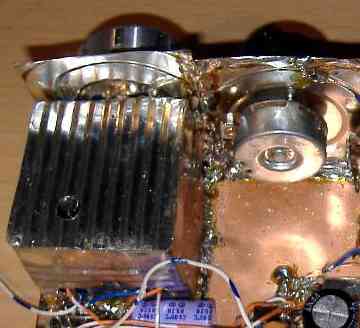 Another use of baked bean can is as an RF shield as shown in this VFO built for a 40m transceiver. In this case I used the full 415g sized bean can, which has corrugated sides as you can see in this photograph.